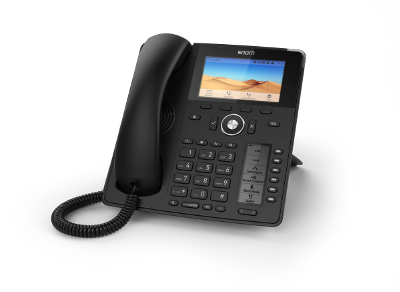 Berlin IP telephony specialist Snom has launched a promotional deal, which will run from 1st September until 31st December 2018. The promotion will allow specialist dealers and partners to purchase twelve D785 IP terminals, while only paying for ten, as well as receiving an after-sales bonus. Snom is offering specialised dealers – and those affiliated to its partner programme – discounts of more than 20%. Those who buy ten Snom D785 will get two more IP telephones for free. In addition to this discount, registered partners will also receive an after-sales bonus based on the conditions set out in Snom’s partner program. At the heart of the campaign is the flagship product of the 7xx series, the Snom D785. This flagship model, which offers a combination of state-of-the-art technology and elegant design, sets new standards with its innovative user interface. The D785’s high-resolution display and practical second screen makes it a key product in Snom’s twenty-year history.